While we were near the south shore of Nova Scotia we made a quick trip to Lunenburg in what the local radio station called ‘biblical rain’. That means pouring buckets. But we just had to see Bluenose II before the new launch later this summer. I took these photos of her in drydock. I had to take the photos from the open doorway of a portable toilet so my camera wouldn’t get soaked! We saw a fabulous, informative film in the visitor centre about the original Bluenose, which was a wooden-hulled commercial fishing schooner built in 1921. She was 181 feet long and her main mast had a height of 126 feet above the deck. Her displacement was 285 tons and total sail area was over 11,000 square feet. The film showed footage of her sailing and I was blown away by her massive size and graceful strength. While the lifespan of most schooners was just 10 or 12 years, for 17 consecutive years Bluenose won the annual International Fishermans’ Trophy (racing 40 miles against schooners from Maine). Her highest average speed was 16 knots, which made her the fastest sailing ship in the world. In 1938 when the racing series ended, she was named Queen of the North Atlantic Fishing Fleet. 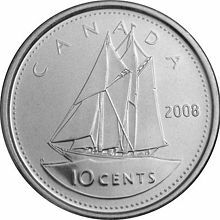 Bluenose has been pictured on the back of the Canadian dime (10 cent piece) from 1937 to this day. 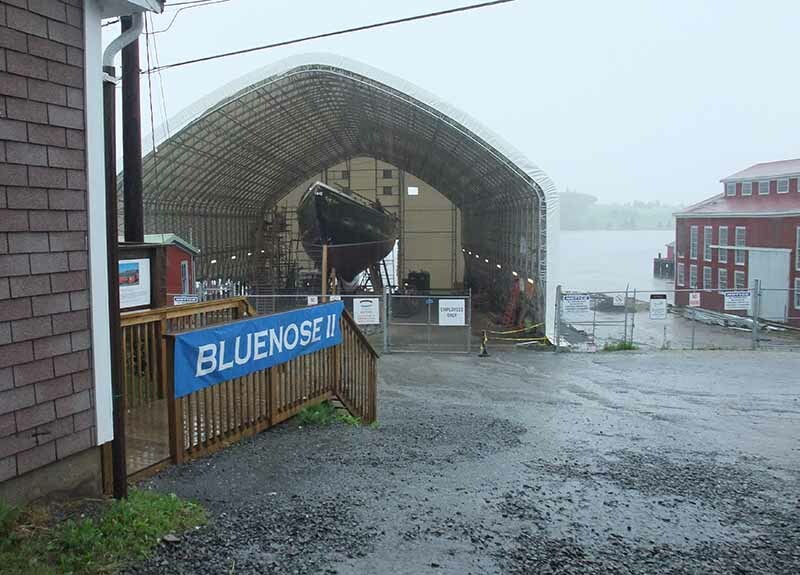 Once Bluenose was lost, everyone realized what a tragedy it was that this world-famous, hard-working ship had not been preserved. Eventually in 1963, an identical schooner, Bluenose II, was built from the original plans, in the same shipyard and by some of the same men who built the first one. 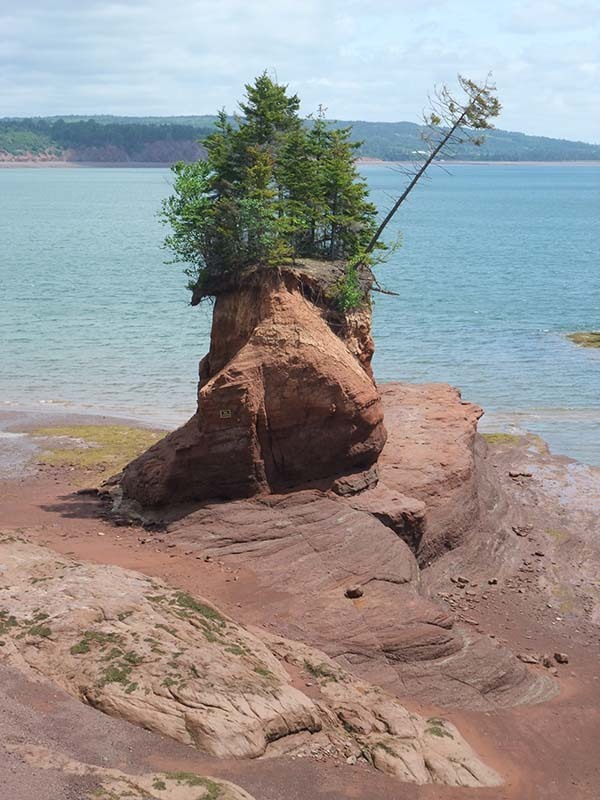 It was used as a showpiece and was sold to the government of Nova Scotia for $1 in 1971. 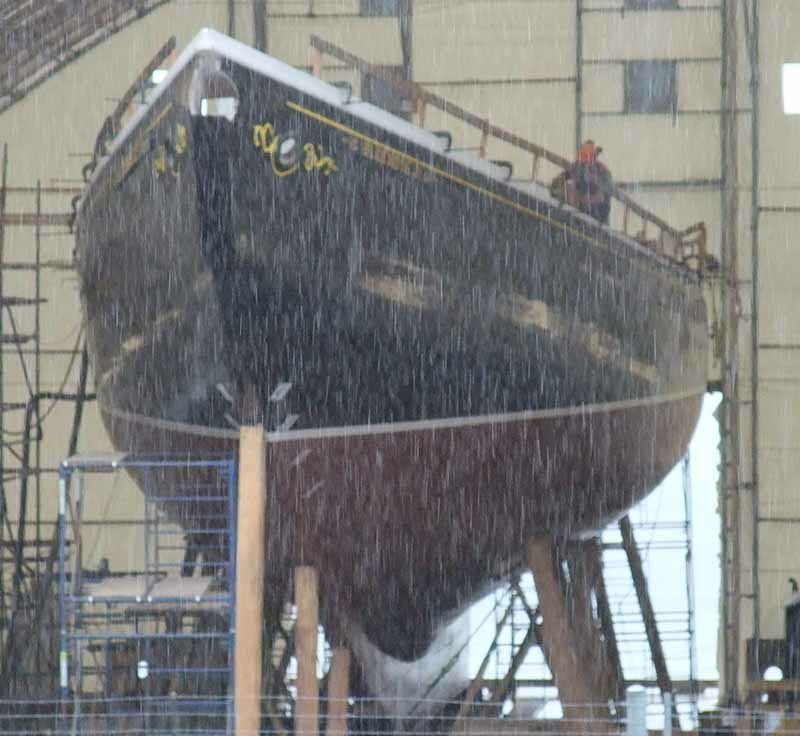 Bluenose II is now almost 50 years old and has been repaired many times, but this latest visit to drydock to replace the entire wooden hull and keel is costing $16 million. 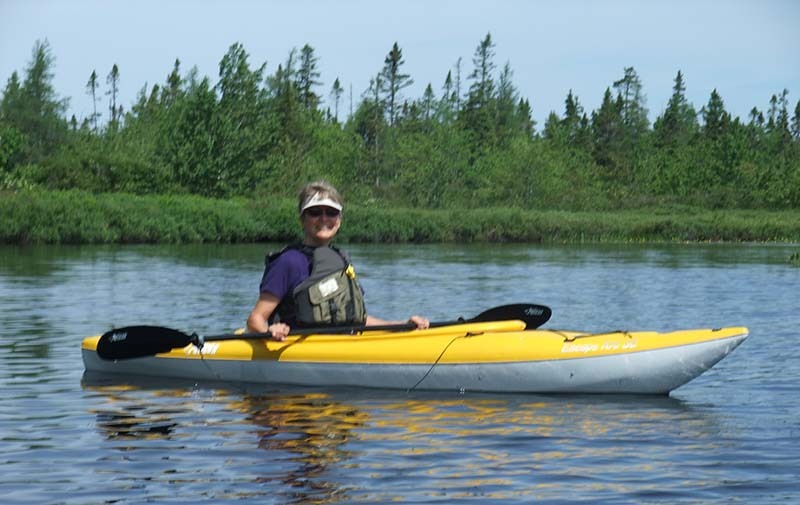 As we near Canada Day later this week, it is very fitting that I pay tribute in my blog to this symbol of Canadian excellence in ship design, shipbuilding and seamanship. Happy Canada Day, Bluenose II. You’re a grand lady and I’m proud to have met you. 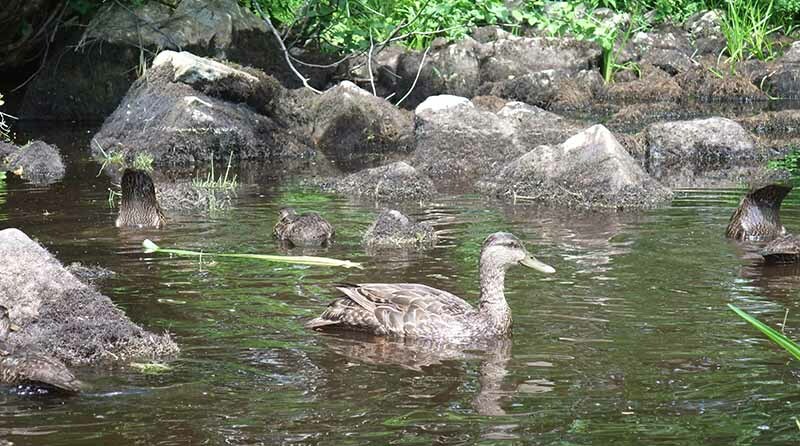 We spent a week at the KOA campground near Sackville, NS, which is about a half hour north of Halifax. 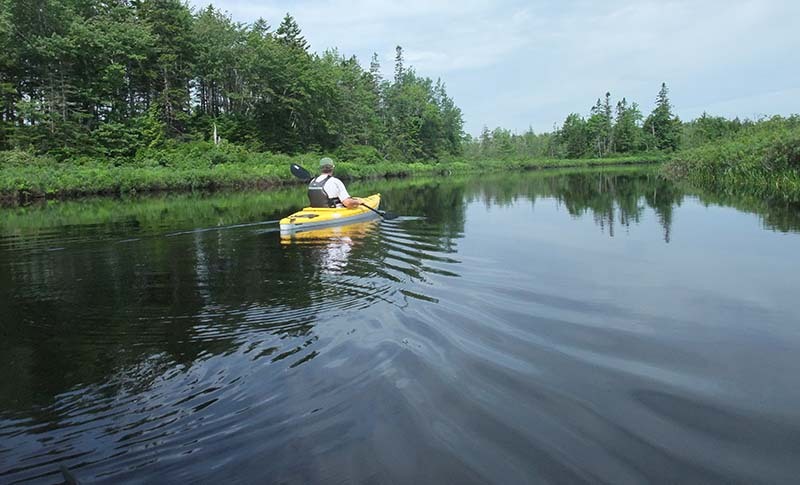 The campground is right on the Sackville River, so on our only sunny day there we finally had a chance to use the kayaks we hauled from Ontario. It was so great to get out into Nature. 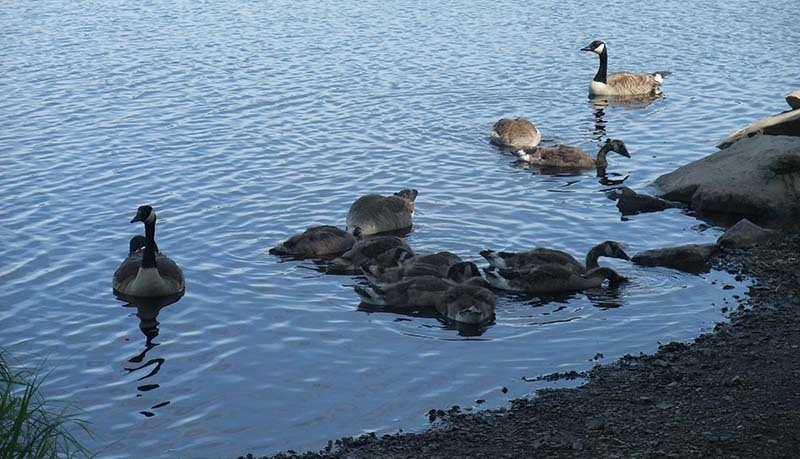 Here are some photos of us and some waterfowl. Since we were camping in Five Islands, NS for two weeks, we spent some time exploring sideroads looking for scenic spots to photograph. Down Blue Sac Road we found this lovely view of one of my favourite of the Five Islands, the one with the hole in it, sort of like Piercee Rock in the Gaspe. Down Economy Point Road we found a lovely public park with several km of oceanfront trails and I took lots of photos including this one with a sea stack at high tide. 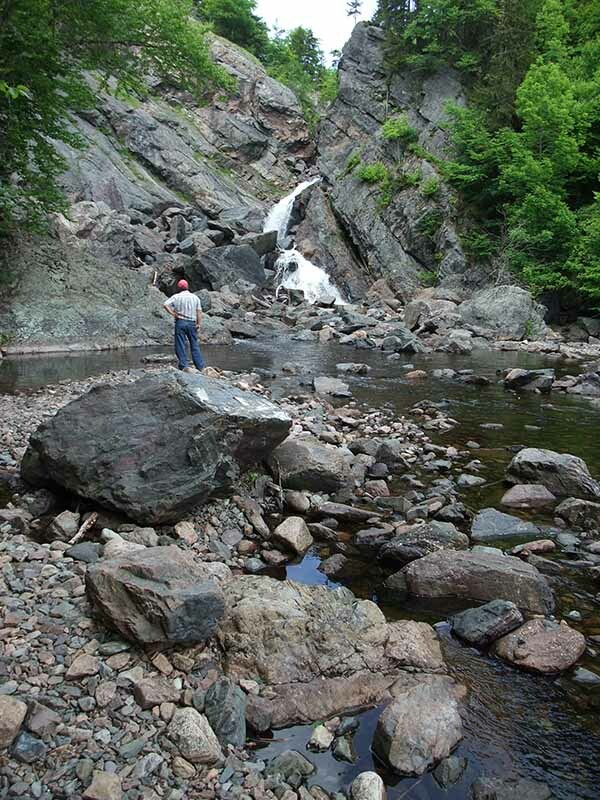 One day we walked along the shore from our campground at low tide and hiked a little ways up a river. Well at high tide it looks like a river (although very brown and muddy looking), but at low tide it is just a trickle. 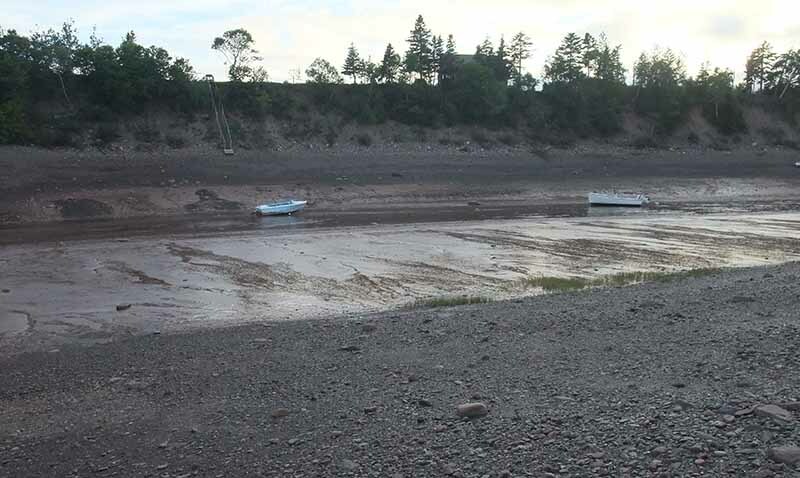 As I mentioned earlier, those folks with waterfront property on the Bay of Fundy should get a rebate on their property tax – look how far the boat on the left is down from the steps up to the house! 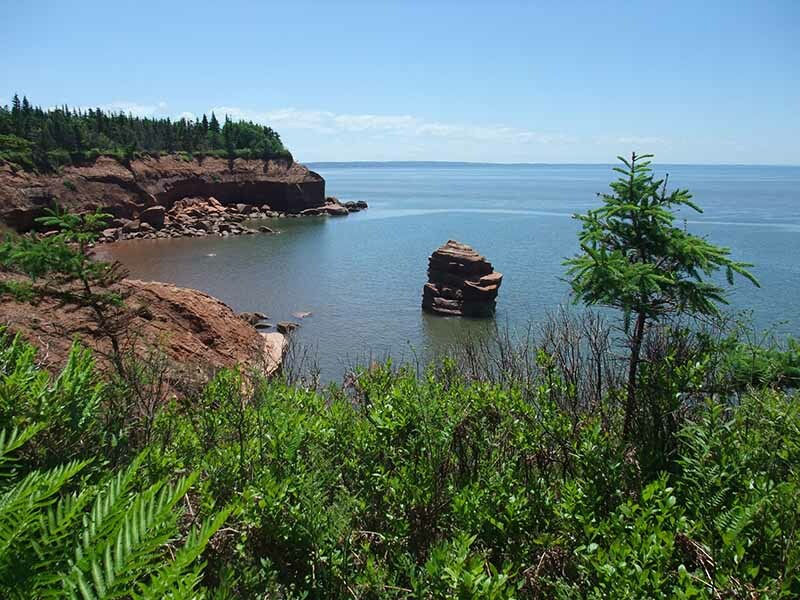 One day we went for a hike on Partridge Island, just outside of Parrsboro on the Bay of Fundy. The view was quite nice from the lookout at the top, but the most memorable part of our hike was meeting this partridge. 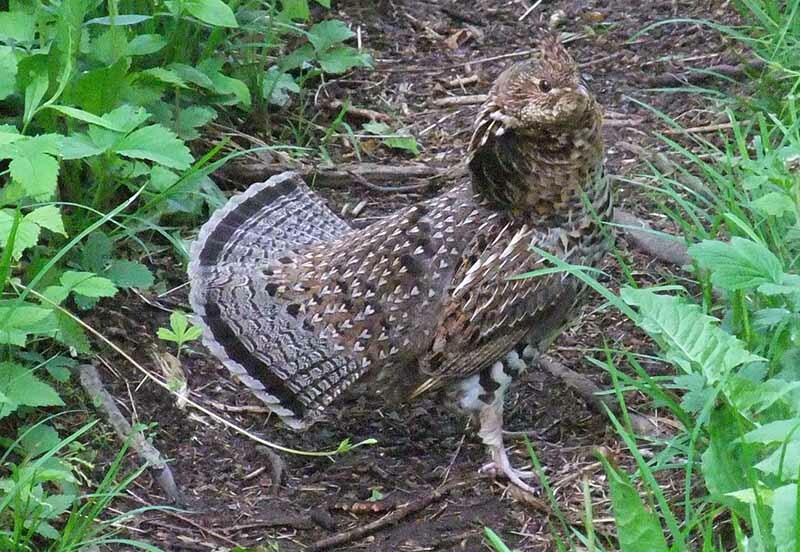 Usually when we encounter a partridge it flies off but this lady would not move out of our path. John stomped his feet to make her move (once I was done taking her picture), but she ran right at us and went to attack our legs. So John made more aggressive gestures and noise and she flew a few feet off to the side. We hurried by her and she came back after us from behind, so we ran like heck for about 50 feet before she left us alone. Of course, it was because she was protecting her chicks that she behaved that way. We figured they named the darn island after her. Parrsboro is a nice little town right on the Bay, although we had the sense it is struggling economically these days. 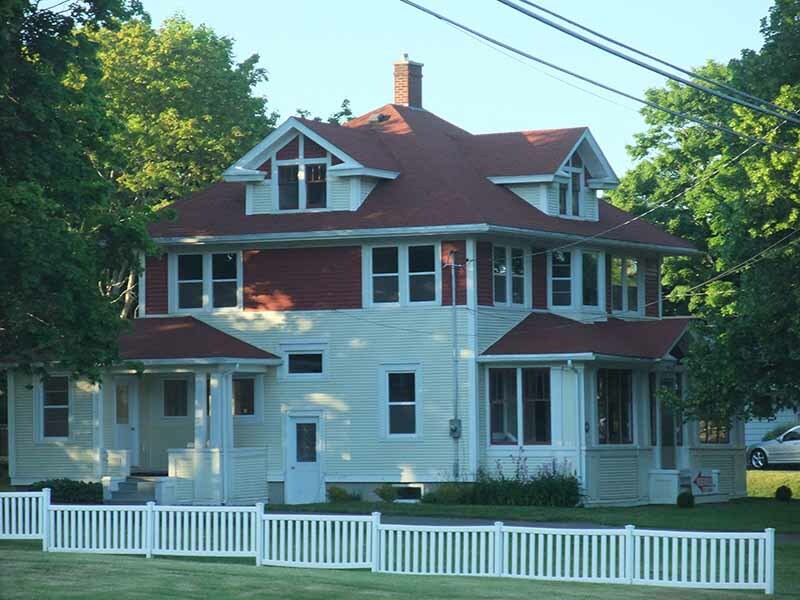 We kept driving by this lovely red and white house at the main intersection in town. It’s for sale if anyone is interested! One of the locals told us about a waterfall we could hike to, so we drove down a dirt road to find it and went past this commercial blueberry farm on the way. 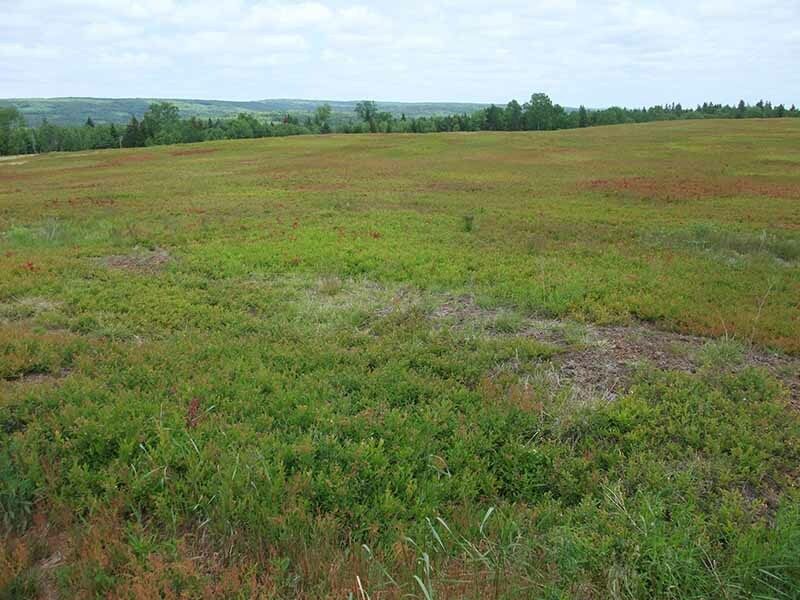 It just looks like a colourful pasture, but those little red and green bushes are full of blueberry blossoms and are only about 4 to 6 inches tall. Since it is spring here, we are seeing lots of lupins and poppies. 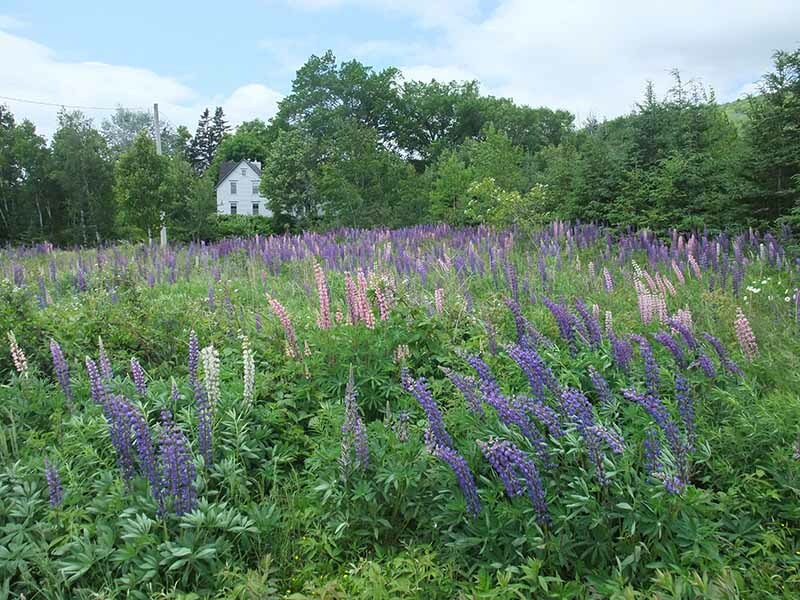 I already had gorgeous lupin photos from my home garden and from our trip to Newfoundland, so I didn’t photograph them here until I saw this field where there must have been a thousand lupins or more! The field was about 3 times as wide as the photo shows. Truly memorable. 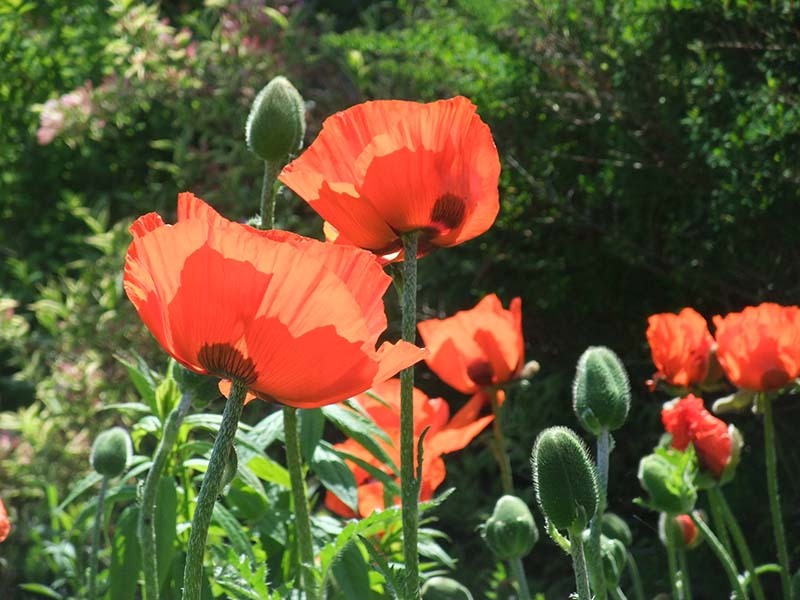 I took tons of photos of red poppies (and am including them in my next painting) so here is one to share with you. This shot was at a local cheese farm. 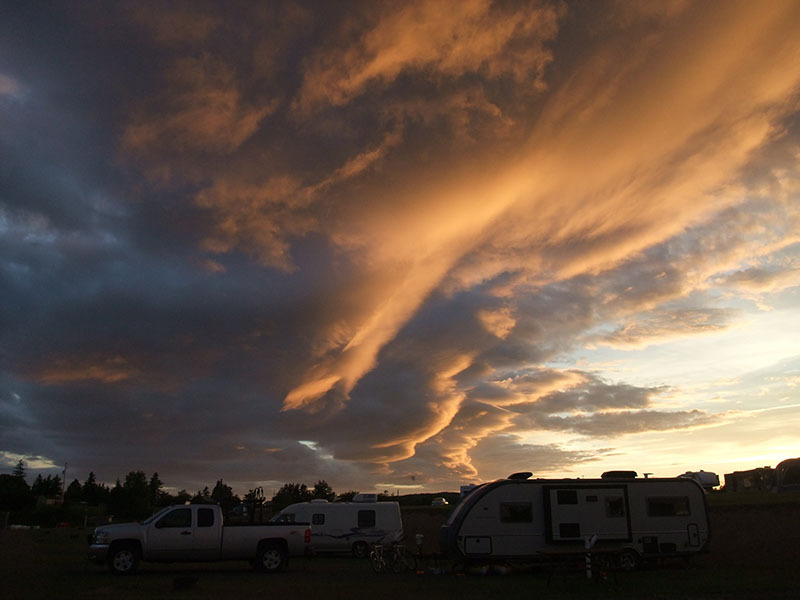 I took this colourful sunset photo in our campground one evening. That is our truck and trailer in the foreground. 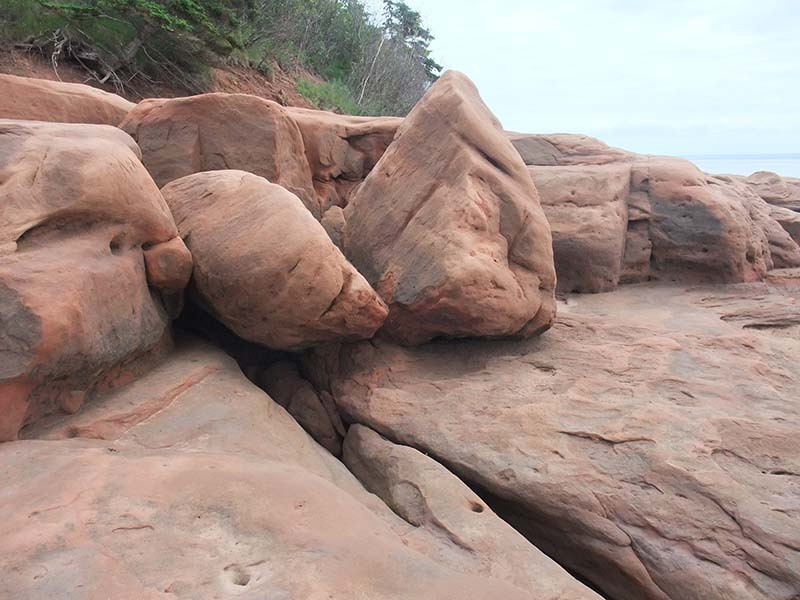 While low tides revealed mud flats beside our campground, in other coastal areas low tide revealed some exciting rock features, as shown below. 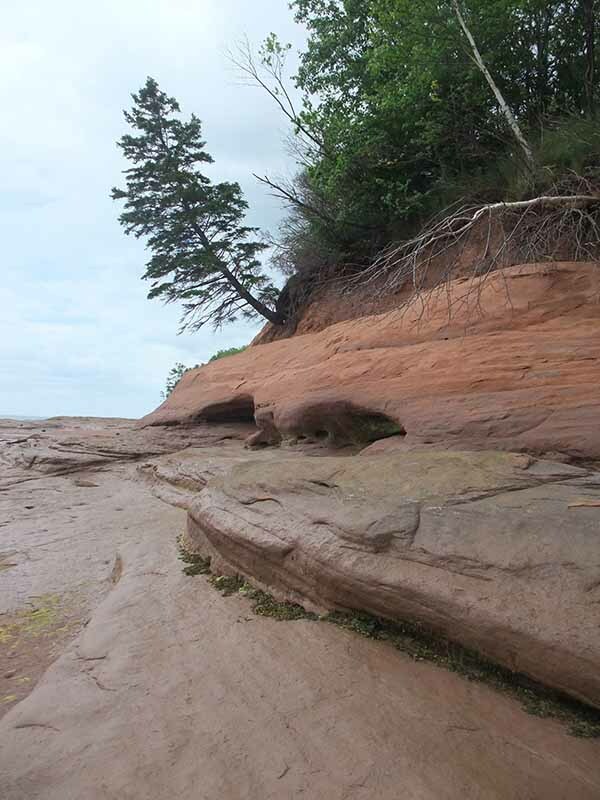 Most of the coast we saw was sandstone and is actively eroding. Will Nova Scotia disappear eventually? 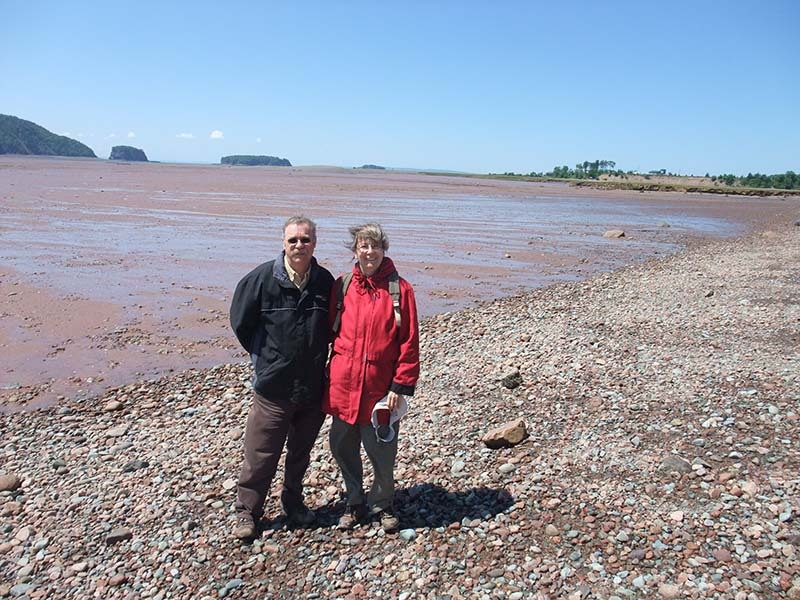 Here we are on the beach at Five Islands when the tide is out. 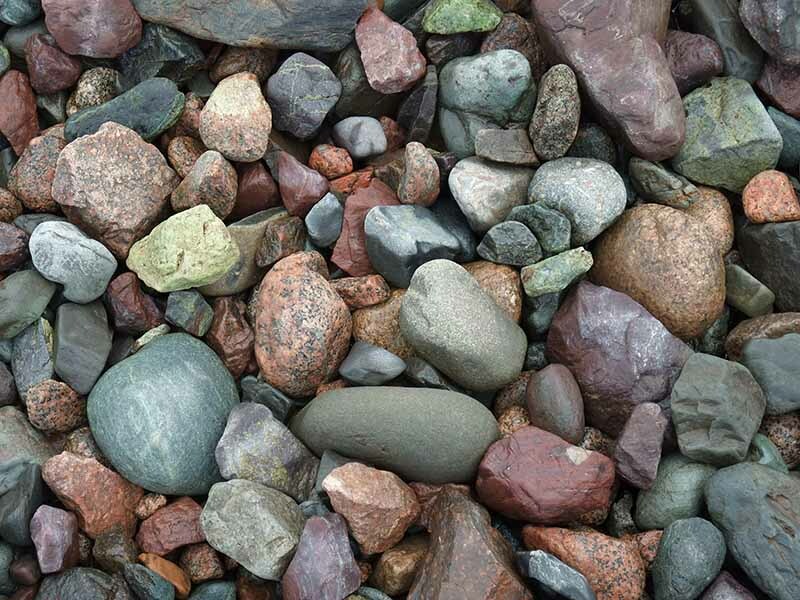 The sloping beach above the mud flats is made of gravel, with so many interesting colours and shapes. Of course I had to collect some for future painting ideas.